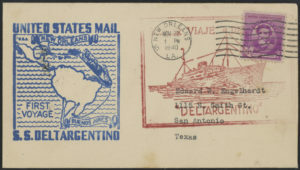 Title: "United States Mail, New Orleans to Buenos Aires, First Voyage. S.S. Deltargentino." Two achets, one in English, the other in Spanish. Postmarked New Orleans, November 22, 1940. 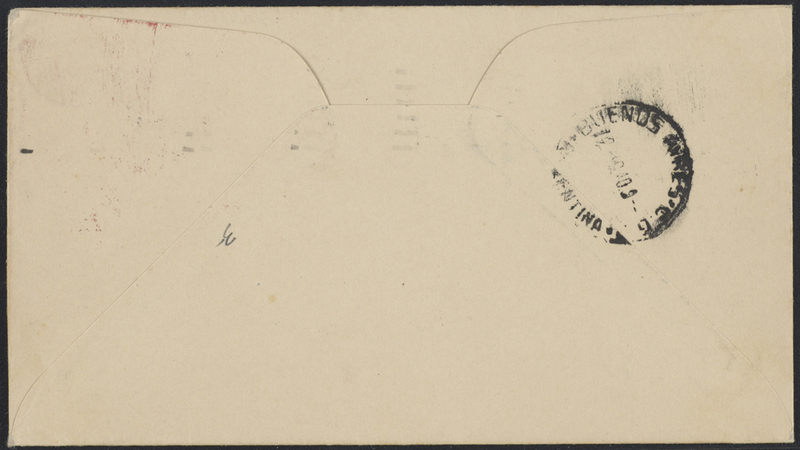 "United States Mail, New Orleans to Buenos Aires, First Voyage. S.S. Deltargentino." Two Cachets, One in English, the Other in Spanish. Postmarked New Orleans, November 22, 1940. 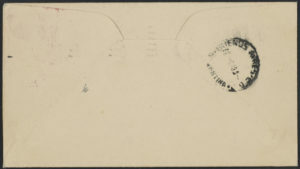 Title: "United States Mail, New Orleans to Buenos Aires, First Voyage. S.S. Deltargentino." Two Cachets, One in English, the Other in Spanish. Postmarked New Orleans, November 22, 1940. 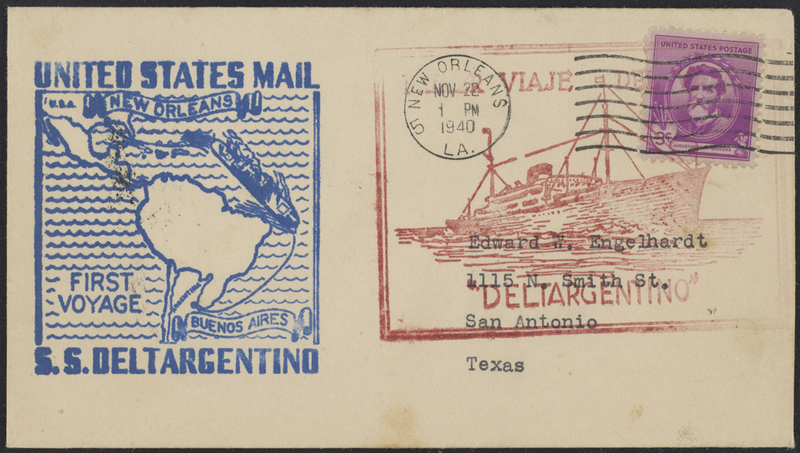 “United States Mail, New Orleans to Buenos Aires, First Voyage. S.S. Deltargentino.” Two cachets, one in English, the other in Spanish. Postmarked New Orleans, November 22, 1940.